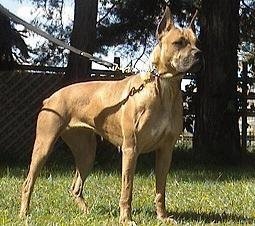 Original Working style Boxer with size and substance. Look at Boxer history you will see how Boxers were ment to be before some show people decided otherwise. Im happy to send you history information. 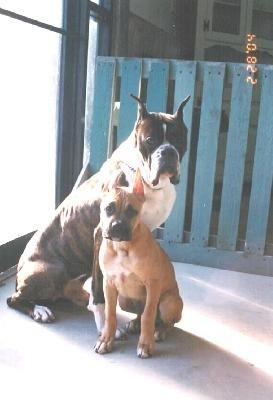 "TOOMA" my best friend for 12 years, he was not my first Boxer, but he was one in a million. I miss him everyday. His daughters and sons will carry on his incredible genetics. A wonderful day in 1996. He grew into the most wonderful Boxer You could ever hope for. So many memories. I only hope one of our pups can bring you as much joy as he brought me. 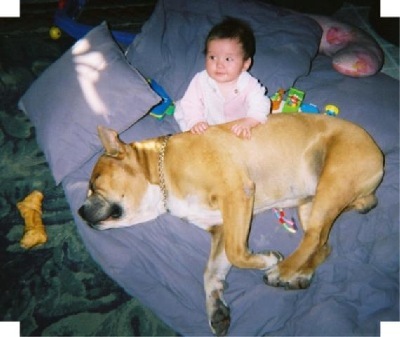 Our first Babysitter, what a fine job he did, taught our daughter to love animals from day one... Trusting our dogs is never and issue. Temperament is always our concern. Our pups are your family members. This is a Tooma son, as you can see the Genetics are passed on from one generation to the next. We have kept some Tooma daughter's and a son to carry on his line. I cannot look at Java without seeing Tooma, of course Tooma had much more substance, he probably had too much, but to me and for our bloodline he was perfect. 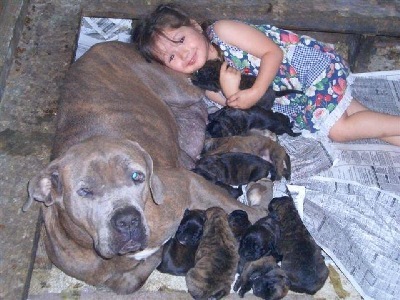 By breeding back to females without the heavy bone you are able to have wonderful pups. Breeding is a very selective process always trying to improve your bloodline. With outstanding Temperament, health and intelligence. We will continue to produce his grandsons grandaughters, and great grandaughters, greatgrandsons, and so on for generations. We look forward to helping you find just the right puppy, all of them are prespoiled, my daughter makes certain this happens. This assures your babies come to you with incredible temperaments. Please click on the "Nebolish and Boxer Photos" to the left we have much more,to share. 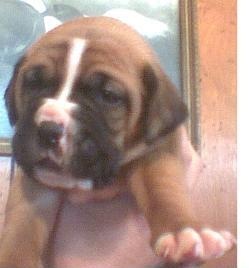 Pictures of our dogs, and puppies we have produced, as they have grown sent by our puppy families. ENJOY! 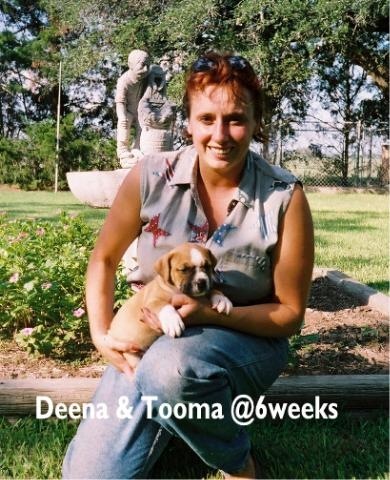 Click on link to the « left to see many more photos of Boxers and Mastiffs, these are pictures of pups we produced and sent to there new homes. We always look forward to updates as our babies mature.